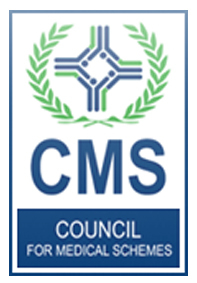 The Council for Medical Schemes (CMS) is an independent body established by South Africa’s Medical Schemes Act (131 of 1998) to regulate private health financing through medical schemes. There are approximately 97 distinct medical schemes in South Africa, with approximately 8,469,000 beneficiaries contributing an annual total of about R84.9 billion. With so many lives and so much money at stake, it’s crucial that the CMS oversee the procedural practices of medical schemes. collect and disseminate information about private healthcare. One of the CMS’s most significant roles is in overseeing changes that medical schemes make to contributions. The CMS analyses and approves all changes to ensure that they’re appropriate and consistent with the Medical Schemes Act. The CMS also plays a vital role in enforcing compliance with the rules set out by the Medical Aid Schemes Act. It identifies and handles transgressions. Common forms of non-compliance with the Act relate to non-healthcare expenditure, governance issues, unsound risk-assessment frameworks and cases in which medical schemes function as insurers. The CMS has its own legal team, to ensure the integrity of its regulatory decisions with regards to medical schemes. The CMS assesses the extent to which medical scheme brokers meet the conditions for accreditation, as specified under the Medical Schemes Act. It determines whether entities applying for accreditation as medical scheme brokers are fit and proper, have the necessary infrastructure set up and are financially sound. Once a medical scheme broker is accredited, the broker is expected to adhere to specified standards and service levels. Before signing up for a medical scheme, you should investigate that scheme’s financial soundness. This affects the likelihood that you’ll be paid out what you’re expecting. The CMS assists by analyzing and reporting on the financial condition of the various schemes that are available. This enables consumers to make informed choices when it comes to their health.